It is not hard to identify a deciduous shrub of Deutzias Magicien while strolling through a garden in early summers. Your guests will instantaneously spot the clusters of showy pink and white flowers (2.5cm wide) contrasting with matt-green leaves. Deutzias are native to eastern Asia, best suitable for informal hedges, flower borders and low maintenance cottage gardens. Magicien is a hardy upright bush that features a combined breath-taking show of masses of cup shaped flowers, dense narrow foliage and elegant arching branches. Its exfoliating bark will peel to reveal an orange layer. This medium sized shrub adapts to any soil that is well-drained, moist and humus rich. It flourishes well in full sun or partial shade and can withstand tough climatic conditions. Avoid dense shade and prune a third of its branches after flowering season as the stems can become compact and tangled. Also remember that its flowers bloom on previous year’s wood. Duetzias Magicien is cloaked in heavily flushed pink and white flowers with yellow anthers that carry a charm adored by butterflies, bees and moths. 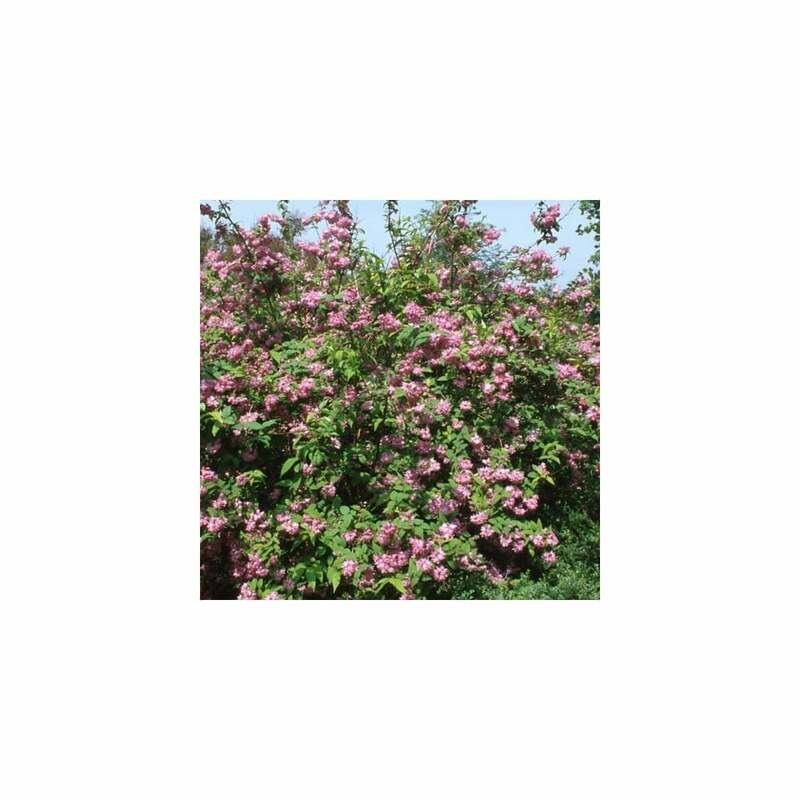 The flowers bear mild fragrance and are the most important feature of this deciduous bush. Magicien will reveal a fine display of prolific flowers from spring to early summers. It is ideal for use in informal gardens as flower beds and borders. Its mid-green leaves held opposite to each other on stems and the stems themselves add a beautiful attribute to any garden.